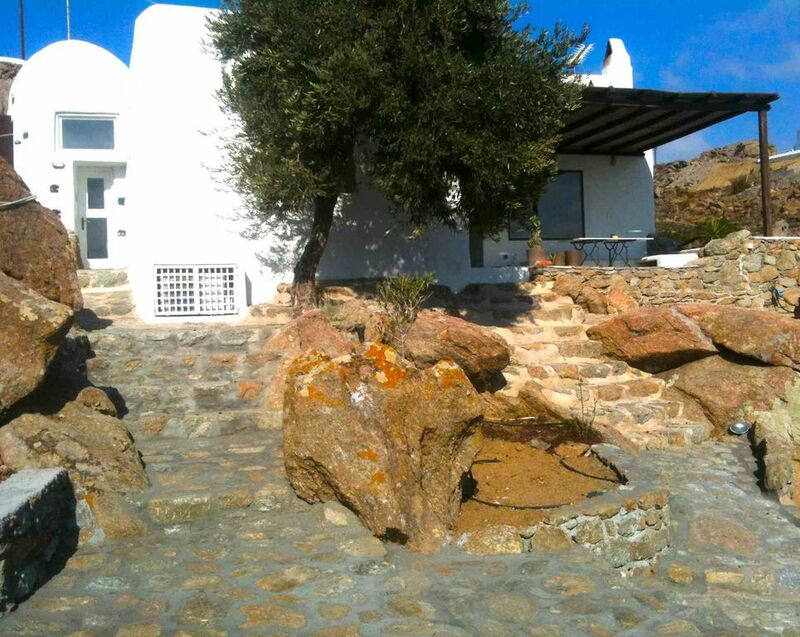 Traditional Mykonos Villa in quiet valley moment from all the action.. Private Villa in a quiet valley with view to the sea 3km from town, 2km from Paranga and Paradise beaches and 500 m from the nearest supermarket. Situated on 2 hectars of countryside on a cul de sac in a secluded valley but moments from all the action, this property presents traditional Mykonian living with all the modern amenities. The Villa has 1 double bedrooms, 1 double loft bed, 1 bathroom, fully equipped kitchen with washing machine, salon with comfortable seating area and fireplace, outdoor shower, garden and a front balcony with unobstructed views out to the sea with plenty of seating/lounge area. The property enjoys unobstructed view to the sea, the valley and mountains, with goats and sheep grazing and an open valley garden. Limited parking. Quiet traditional Mykonian living moments from all the action..! I am an artist and have been coming to Mykonos for the last 20 years. I have had this home for 10 years. This property offers the best combination of leisure and activity. It is moments away from beaches and town, but tucked at the end of a private road in a country valley with peace and quiet. Quiet, safe, accessible, simple traditional Mykonian living. There is a workshop/artist studio attached to the house.